Must a design always be as simple as possible? I recently read a piece on Core77 entitled The Simple Truth by Nick Fosta. In it he pushes back against the current design trend to simplify all the devices with which we interact. Think of the seamless interactions that we've come to expect from smart phones, computers, and appliances. He makes the point that the fundamental reason to simplify is to increase efficiency (and thus productivity). While this is a good goal for many products, we as designers often overlook an alternative goal- instead of designing for simplicity of interface, sometimes we need to design to maximize enjoyment of interface. Often there is delight in learning to use a new device, and peeling back the layers of complexity to discover seemingly hidden truths about the product. In discovering the nuance of a product, the user develops a personal relationship with it, and thus a deeper emotional connection. This is not to say that products should be designed to be difficult to use. Instead, we need to remember that efficiency is not the only goal. Creating products that foster mastery, and craft gives the user room to develop a personal relationship with a product. Consider craftsman and artists. They spend years honing difficult skill sets and ultimately wield their craft with a seeming effortlessness. Behind that seeming ease, though, are years of difficult training on tools, or with tasks that are not designed with maximum simplicity. The craftsman is intimately familiar with the intricacies of his tools. The artist learns how their medium reacts differently to slightly varied techniques. The result of their years of training is not only a skill set that produces magnificent works, but perhaps more importantly a relationship with their craft that is personal, private, and that gives them an intense sense of pride. Our job as designers is to develop products that give their users delight. Whether that delight comes from a sublimely simple interface, or from an interface deliberately developed to inspire deep interaction and learning, our job is to make users happy. Mr. Fosta's article is a reminder that we must not become fixated on one set of design goals and try to apply them to all designs. We must always remember the most important tenant of design- remember the users, and design to delight them. Last night I attended the final Junto meeting in SLC. It was the culmination of 6 weeks of entrepreneurship mentoring by Greg Warnock and the crew from Mercato Partners. The program focused on helping entrepreneurs build their networks, learn the core skills of sales and marketing, and put some of these lessons into practice. Last night, though, the focus was on the broader theme of using business as a vehicle of purpose. What do I mean when I say that business should be a vehicle of purpose? It is simple-without a driving purpose, business is an empty pursuit. A business can be financially successful, but without purpose, that business will not be fulfilling, and isn't that the whole point of hanging out your own shingle? People start businesses because they want to do something that matters to them. They want to spend their time doing something intrinsically meaningful, and maybe leave a small mark on the world in doing so. Without purpose, business is empty. My purpose in life is to create. I've spent my life diving deep into creative pursuits. Painting, sculpting, product design, cooking, furniture building, music composition, classic car restoration, architecture, and writing have each consumed me. To me, the process of creating is art, and in that art is fulfillment. To create is to add to the human experience. Each creation adds to the colossal tapestry that we have been collectivelyweaving since the beginning of time. My purpose is to enrich this ever growing tapestry. This is why Swarm exists. The founding partners (Devin, Wes, and I) each spent several years working for traditional companies, learning how to design, market, launch, and sell successful products. Many of these companies, though, felt empty. They were bogged down with policies that stifled creativity, and their sole focus was on profits. They lacked a greater purpose. We founded Swarm as our vehicle of purpose. Swarm exists to channel our passion for creating. Our purpose is to spend our time creating rich, meaningful work. We have a deep knowledge of product design, production, sales, and marketing, and weshare this with our clients because our goal is to help them make their visions a reality. Nothing brings us more joy than helping a client make their mark on history with a creation of their own. This is why Swarm exists. This is Swarm's purpose. On Monday Nectar and Elixir were featured on Bike Snob NYC. The Snob was brutally critical of the design in a way that only he can be. Is this such a bad thing, though? Absolutely not. The Snob brings up some very good points. As one who is professionally critical, it is his job to seek out flaws and lampoon them. 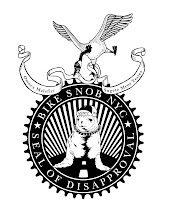 To be honest, we actually chose to send our press release to Bike Snob NYC as one of our first contacts. Why? Two reasons. First, his is one of the most influential and visible blogs in the biking world. Second, so we could get some harsh feedback on the design, and start an open dialog about the design and features of Nectar and Elixir. Success! Bike Snob opens by pointing out that the bottle opener actually points sideways. A sideways pointing bottle opener? How could Swarm be so bad at product development that they would get the proper orientation of a bottle opener wrong? Well, sometimes good design is so simple in appearance that it hides a mountain of design research within. We consciously oriented the bottle opener sideways for 2 reasons- ergonomics and manufacturability. Naturally when we started designing Nectar and Elixir, we designed it with the opener oriented like all openers- facing down. Here you can see one of our early design concepts. It is elegant, and you open the beer in the traditional fashion, by pushing it down. The problem? On most bikes, the seat clamp is oriented just above the rear tire. Imagine putting a beer into the seat clamp, them pushing down. Can't be done- there's a tire in the way. One solution would be to turn the clamp around so it faces forward. Now you have the top tube to deal with. Clearly the ergonomics of the bike are going to limit the orientation of the bottle opener. One option we looked at is placing the opener on the side of the clamp. This would eliminate any interference with the bike, right? Yes, but now the opener will interfere with the rider. Imagine rubbing your leg on an aluminum hook every time you pedal. Ouch! That was out of the question. The ergonomics led us to consider alternative orientations. We looked at several options, but the flash of genius struck when we realized that if we oriented the opener sideways, not only would it solve the ergonomic issues, but it would make the clamp a perfect candidate for a manufacturing process called near net shape extrusion. How should we make it? Extrusion is a wonderful manufacturing process. It creates a shape by squeezing aluminum through a die. Imagine squeezing toothpaste onto your toothbrush. That is an extrusion process. We just use a different shape die- one that is roughly the shape of the seat clamp- and we use hot aluminum instead of toothpaste. We squeeze out a really long tube of material, chop it off into 15mm sections, and load these blanks into a CNC milling machine to clean up all the surfaces, and add the details. By making the opener integrated into the extruded shape, we drastically cut down on material waste. When you cut material away in CNC machining, it is scrap that either must be recycled, or disposed of. Either option is worse for the environment than not machining it away in the first place. Can a bottle opener work sideways? Really shouldn't open a beer while riding. This means that you'll be standing off to the side of your bike. When you're holding your bike up, it tends to lean toward you. This, it turns out, is the ideal position for opening a beer without any spillage. It is easy, feels right, and works perfectly. Try it for yourself. Now, to be fair The Snob pointed out that we have a major explosion in the Kickstarter video at about 1:24. To attribute this to the orientation of the opener, though, is erroneous. I don't know if The Snob has ever opened a beer that has been shaken up, but it simply doesn't matter what orientation you have the bottle in, it will explode. You can see that the beer in this photo is not spilling because of gravity. If it were, you'd have beer pouring straight down. In reality, the beer is shooting everywhere. This indicates a carbonated explosion. Sad, too, because Epic's Cross Fever is a delicious beer! Next, Bike Snob NYC pointed out that some of our marketing materials talk about PBR, which comes in a can. This is an excellent point. Neither Nectar, nor Elixir is capable of opening a can of PBR. We will correct this mistake right away. Thanks for pointing it out! He then goes into the finer points of "tweakers." Again, an issue that we are working tirelessly to correct. Soon we'll have a term less connected with drug use. We're consulting with our crack team of branding experts. Crack? Oh man. This isn't easy. 5 sizes Elixir (quick release), 5 sizes Nectar (fixed). That is 10 units just to cover each size. Multiply that by the 5 colors for each part, and you have 50 unique units. Add in factory minimums, and we are looking at an opening order of 2,500 units, just to prime the distribution pipeline. That is a lot of clamps, and when combined with tooling, pushes the starting cost of the project to over $20,000. We are putting in some of our own cash, but we still need to raise $15,000 to help cover the cost. Manufacturing is expensive, so Bike Snob, if you can get your cash out of the bike lever, pizza cutter with pinball wheel technology, we'd love to have you preorder your own Nectar or Elixir! Try it, you might like it. And thanks for helping us get our name out there. The post on Bike Snob NYC was awesome! What size seat clamp do I order? So the seat clamp has to be sized to fit over the seat tube. There are 5 standard seat tube diameters on the market: 28.6mm, 30.0mm, 31.8mm, 34.9mm, and 36.4mm. We're releasing Nectar and Elixir in all 5 sizes. If your bike has an unusual size, no worries- just order the next size up. If you have a 31.5mm seat tube, a 31.8mm seat clamp will work like magic. The best way to make sure you're getting the right size is to grab a set of calipers. Just ask your closest engineer- she's bound to have a set. Stick the calipers on the outside of the seat tube, and measure away! You can also measure the inside of the seat clamp that is currently on your bike. Finally, when in doubt, consult your bike frame manufacturer. They will certainly have this information available. Why a seat clamp with a bottle opener? Good question. We have created the most basic venn diagram showing why we chose to combine our love for bikes, beer, and design. Makes sense, now, doesn't it? Devin has been working super hard to get The Goat and Nectar and Elixir into the hands of product testers. We just got confirmation that Gear Tested has received The Goat ski sling, and an Elixir seat clamp. Be sure to watch their site for the reviews of these 2 great products from Swarm. And remember, Swarm doesn't just design it's own sweet products. We'd love to do some product design work for you! We have a growing portfolio of product development, sourcing, marketing, and web design that showcases our focus on clean design. Shoot us an email, or give us a call. We'd love to talk about your product! The NECTAR and ELIXIR are live on Kickstarter! Check it out today! Everybody head over to Kickstarter to check out the NECTAR and ELIXIR seat clamp / bottle opener for your bike. If you want every ride to end well, you'll definitely want to get your own NECTAR fixed seat clamp, or ELIXIR quick release seat clamp. They both have a built in bottle opener, look sweet, and will bring a smile to your face every time you ride! Nectar and Elixir launching on Kickstarter Feb 7! Remember those sweet new products we introduced about a month ago, right here- Nectar and Elixir? Well, we are finally ready to launch! Like we explained, we are trying out Kickstarter as a launch platform, since it connects cool projects with cool people. Make sure you head over there and check out our project. If you like it, donate, and we'll send you your very own Nectar or Elixir in April as a thank you! Check out the other cool projects, too. Kickstarter has a bunch of awesome people with great projects, and they need your support, too. Here's a shot of the GOAT at the back country access gates at Park City Mountain Resort. Fresh pow was blowing in from the South and turns were buttery. Check out this design project by Kaylene Kau on Coroflot. She has taken the traditional prosthetic arm and shaken it all up. Why make a complicated mechanical hand with actuaries and joints when you can just make a simple tentacle? And besides, who wouldn't want a sweet sweet robo-tentacle? If I was missing an arm I'd definitely go for it! The beauty of this design is that it is willing to break from tradition and try a completely new way of giving amputees some dexterity. Instead of creating a complex duplicate of the missing part, she has opted to augment the human form with octopus technology. Mechanically this is a much simpler solution- built like one giant finger with many joints instead of an entire hand. Two "tendons" and a simple motor are all that are necessary. Great design, Kaylene! Via Wired.